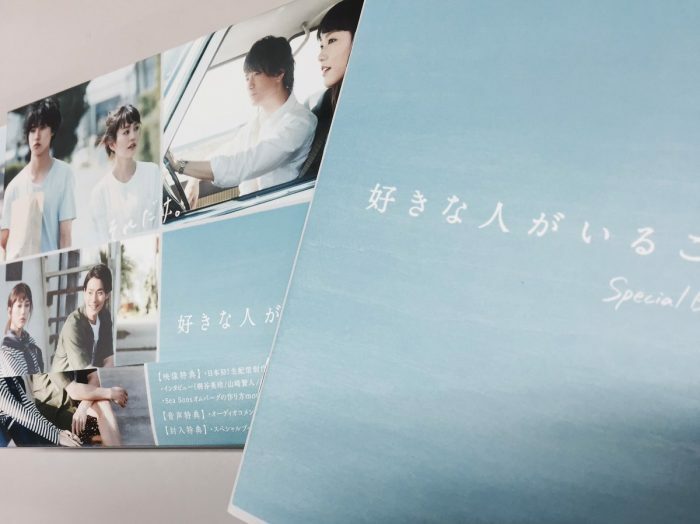 「Suki na Hito ga Iru Koto」 DVD and Blu-ray will be released tomorrow, on 21 Dec. Producer Fujino Ryota tweeted a pic of a sample he received, which shows part of the booklet too. He also added that there are over 120 minutes of bonus materials inside! yeah, and they are not cheap *bitter laughter* though i have to admit, even if i didn’t understand Japanese, i’d probably still enjoy the BTS 🙂 our biggest hope is probably JoJo as there’s a high chance that it’ll be released internationally.